If a group of energy-focused bills become law, Washington state would move toward 100 percent clean energy by 2045. Heading into 2019 — with new reports showing drastic changes are imminently needed to avoid the worst climate change impacts — Washington Gov. Jay Inslee and environmental groups made it clear that they wanted to make this the "Year of the Climate." So far, they appear to be getting close to making that a reality, with a slew of clean energy bills that were included on their climate-focused agenda chugging through the Democrat-controlled state House and Senate. Many of the goals proposed are aggressive. One set of bills would push Washington to get to 100 percent clean energy by 2045, with most utilities nearing that goal by 2030. If passed, Washington would join California and Hawaii, which have already set that 2045 clean energy goal, and several other states are considering similar clean energy legislation this year. Another package of bills is meant to tackle the second-largest source of emissions in the state: inefficient buildings and appliances. Yet another proposal would have Washington join the rest of the West Coast, from California to British Columbia, in adopting a clean fuel standard to reduce emissions from fuel used for travel. Each of those three major packages are moving rapidly through committees in the Legislature, and the answer to whether this could be a year of major change for Washington's energy consumption could come in the form of floor votes in those first chambers as soon as this week. But the climate agenda hasn't moved ahead without pushback, particularly on those changes targeted at the utility and fuel industries. Industry lobbyists have cited concerns that the policies could create significant price increases that would impact consumers, and utilities want to be sure they can provide reliable power backups as necessary considering the intermittent nature of solar and wind. Others representing the agricultural and trucking industries have concerns measures like the clean fuel standard could harm jobs by raising costs for those who grow food or transport goods to market. Still, environmentalists say it's important to note while these measures are going before lawmakers, there is broad support for the policies among voters. A Sierra Club-funded survey of 621 Washington voters in January found nearly eight in 10 voters support setting a goal to get utilities to 100 percent clean power by 2045. "You don't get eight out of 10 agreeing on much these days, but eight out of 10 want clean energy," says Jesse Piedfort, Washington chapter director for the Sierra Club. "What that shows is people understand this is an urgent problem. Climate change is an urgent problem requiring transformative solutions." 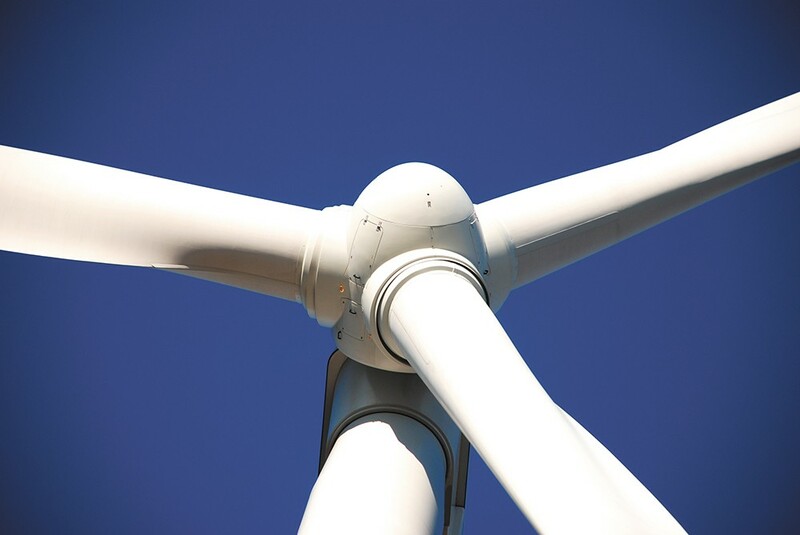 Widely watched among the environmental measures are Senate Bill 5116 and its companion House Bill 1211, which would get Washington to 100 percent clean power in about two decades and accomplish a laundry list of items environmental groups have pushed for in recent years. Under the current versions of each bill, utilities would have to switch away from all coal-fired power by Dec. 31, 2025, which would accelerate current plans. Currently, Washington utilities Avista and Puget Sound Energy plan to be at least financially ready to stop using the Colstrip coal-fired power plant in Montana by 2027. The legislation would still allow utilities to spend money decommissioning the plant and remediating the site after that 2025 deadline. Then, by Jan. 1, 2030, utilities in the state would have to provide 100 percent of their energy from greenhouse-gas-neutral sources. Through 2044, there'd be an exception for up to 20 percent of that power, which could instead be covered by buying renewable energy credits, making an alternative compliance payment of at least $60 per megawatt hour of power that's not from renewables, investing in "energy transformation projects" that reduce emissions but don't generate electricity, or by buying energy from a facility that burns municipal waste and was built before 1992. (Spokane's Waste-to-Energy facility went online in 1991). "In practice, it's an 80 percent by 2030 clean energy requirement, but most of Washington's utilities are going to be well over 80 percent because they already get a lot of their power from hydropower," Piedfort says. "By 2030 we're probably going to be something like 90 percent clean in our electricity grid if this passes." Gov. 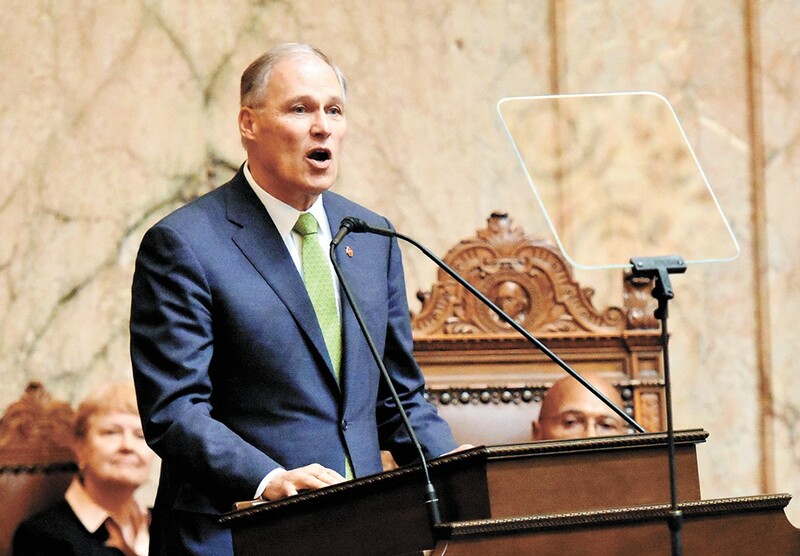 Jay Inslee's legislative agenda includes aggressive action meant to stave off the worst effects of climate change. On. Feb. 18, Sen. John Braun (R-Centralia) attempted to amend the Senate version of the bill to prevent enforcement if retail utility customers were to see a 10 percent increase in their bills, a 25 percent increase in their bills, or a 50 percent increase in their bills, but none of his three amendments were adopted. "The comment's been made that we had a lot of lobbyists up here for this bill, but we had no lobbyist for the ratepayer and the ratepayer is the one that's going to be most affected by this bill ultimately," Braun said during the Senate Ways and Means Committee discussion. Sen. Reuven Carlyle (D-Seattle), prime sponsor on the clean energy bill, asked for no votes on those amendments, noting that the legislation contains a directive to the state Utilities and Transportation Commission to continue protecting ratepayers and not allow increases of more than 3 percent per year. Though often overlooked, buildings "are the second largest source of emissions in Washington behind transportation," says Amy Wheeless, policy associate with the Northwest Energy Coalition. If passed, a suite of bills focused on achieving more efficiency in buildings and appliances could account for a quarter of the state's greenhouse gas reduction goals in coming years, Wheeless says. One measure, SB 5293/HB 1257, would establish an efficiency standard with incentives for large commercial buildings that could put Washington at the forefront of national policy, she says. "Washington would be nation-leading. No other state has passed this kind of policy before, looking at large commercial buildings and saying, 'We need you to reduce your energy use to a certain level by a certain date,'" Wheeless says. "When we talk about buildings and helping them be more efficient, we're often looking at new construction. But when buildings are built, they're there for a while." Under that proposal, the state Department of Commerce would have to establish an energy standard for existing commercial buildings that are more than 50,000 square feet by November 2020. The largest buildings would need to comply with those standards as soon as 2026. The legislation exempts industrial buildings, those used for manufacturing, and those used for agriculture, as well as those in financial hardship. Two other bills would focus on appliance efficiency and the chemicals used in them. One proposal would limit the use of hydrofluorocarbons, a category of greenhouse gases typically used in refrigeration and air conditioning. The second, SB 5115, would establish water and energy efficiency standards for appliances like computers and computer monitors, electric water heaters, urinals and more. Currently, the state doesn't create separate efficiency standards for appliances that already have a federal standard, but 5115 would change that, in part because there's been a lag on the federal level to update or implement some efficiency standards, Wheeless says. In addition to those other policies, environmental groups hope to see Washington adopt a clean fuel standard similar to what's already been adopted in California, Oregon and British Columbia with HB 1110. The legislation would, among other things, incentivize creation of biofuels and lower-carbon fuels, encourage the transition to electric vehicles, and require greenhouse gas emissions from transportation fuels to drop to 10 percent below 2017 levels by 2028, and 20 percent below those levels by 2035. Fuel used for boats, planes and trains would be exempt from the Clean Fuel Program. The legislation is supported by groups like Climate Solutions, a nonprofit that pushes for clean energy policies. Climate Solutions points to potential benefits from the policy: On top of reductions in emissions (more than 30 million tons of carbon pollution have been avoided in California), a study of how things have played out in California showed that $2.5 billion in public health costs were avoided due to reduced pollution that can cause health problems and hospitalizations. Other analysis with input from AAA, the American Petroleum Institute and a UC Berkeley professor found that the low-carbon fuel standard only accounted for about 1 percent of the cost of gas in the state. The rest of the variability is largely due to the global market. Washington already creates some of the clean fuels being shipped to states with low-carbon fuel standards, which makes proponents hopeful the policy could create more jobs here. Those opposed to the legislation include groups like the Washington Trucking Association and Food Northwest, who are concerned with the potential for increased costs to industries that rely heavily on fuel. "This is essentially a hidden gas tax on top of the second-highest gas tax in the nation," Ben Bucholz, lobbyist for Food Northwest and the Northwest Agricultural Cooperative Council, told legislators in a public hearing on the bill. The original print version of this article was headlined "Year of the Climate"